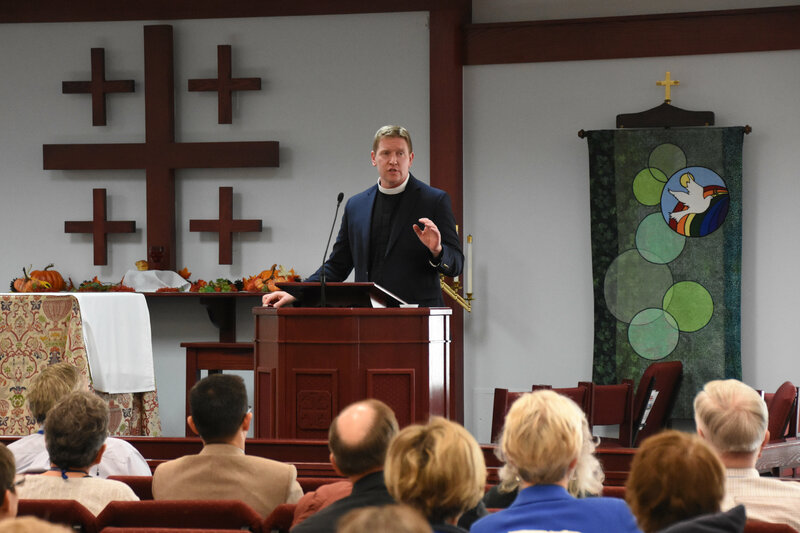 The family of the Diocese of the Mid-Atlantic gathered together November 16 and 17, 2018, at All Saints’ Church, Woodbridge, VA, for our annual Synod. We were thrilled that over 100 people attended Equip!2018, the Pre-Synod workshop on church planting, Friday afternoon. Following the workshop, we gathered with over 300 clergy and lay members of the Diocese as we celebrated Holy Eucharist together on Friday evening. You will find a link to the sermon, preached by the Rev. Dr. Winfield Bevins, Director of Church Planting at Asbury Theological Seminary—as well as other talks from the weekend—here. On Saturday, following morning prayer led by the Rev. 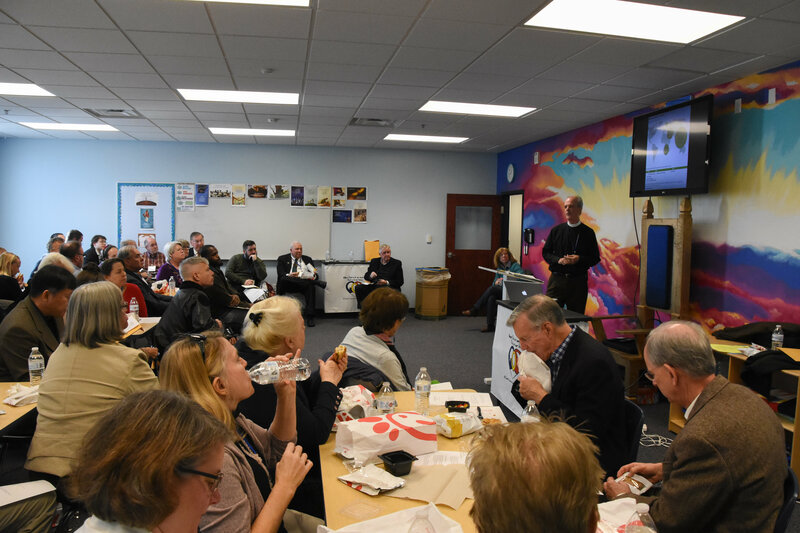 Mary Hays, the Synod was called to order and Bishop Guernsey gave his report, which included highlights and other key events occurring in the diocese during past year. The Rev. Tom Herrick, DOMA Canon for Church Planting, gave a report on the work of the Great Commission Committee. 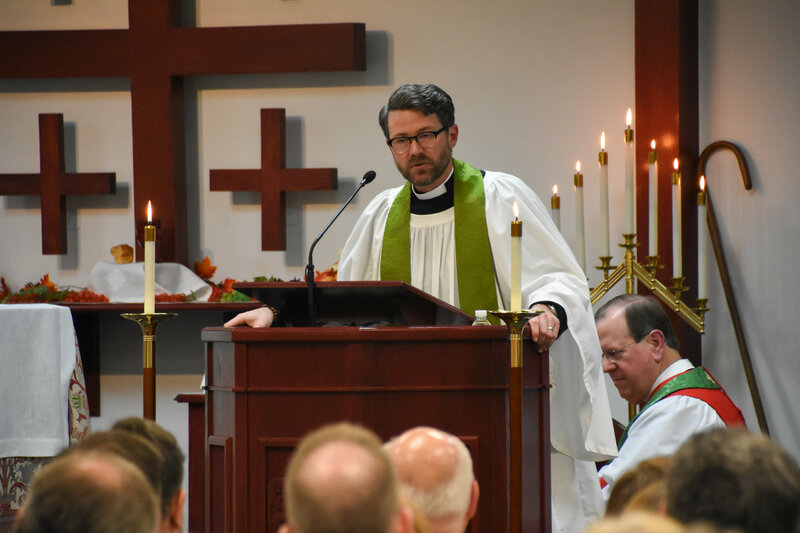 We celebrated together as Incarnation Anglican Church, a plant of Restoration Anglican Arlington, was received as a mission of the Diocese and Christ Anglican Fellowship’s status was changed from mission to congregation in acknowledgment of their growth. Elections were held for positions on the Standing Committee, the Constitutions and Canons Committee and for delegates to Provincial Assembly. 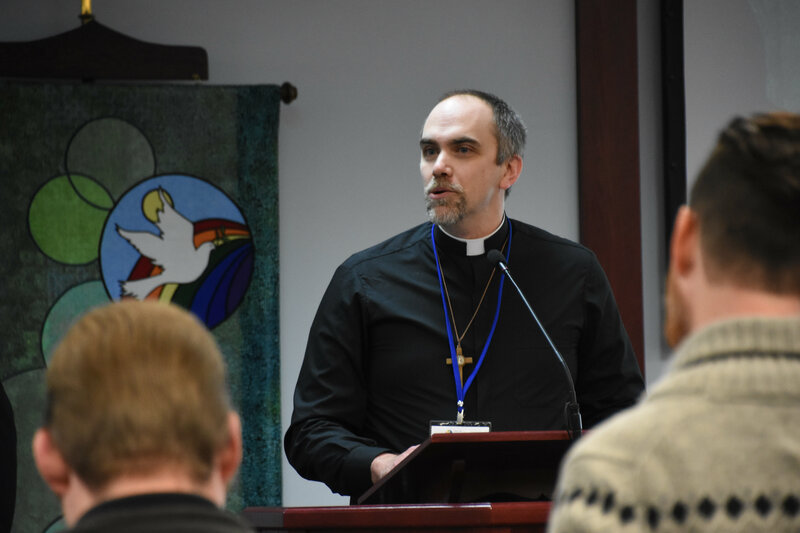 Delegates to Provincial Council, elected in 2017, include Rev. 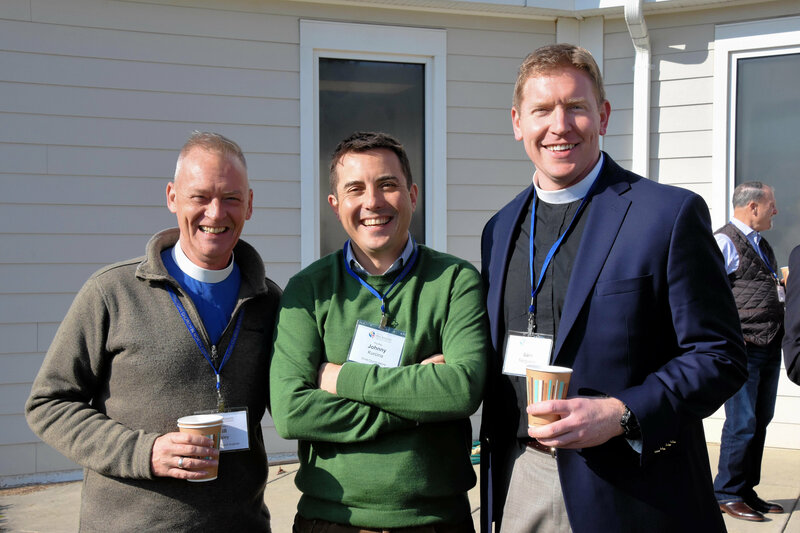 Jim Beavers, Christ Anglican Fellowship, John Miller, Immanuel Anglican Church, Jeff Walton, Restoration Anglican Church. These delegates will also be delegates to Provincial Assembly. Noonday prayers followed the elections, with the Rev. Justin Baldwin officiating. Five breakout sessions were offered during lunch. These sessions were recorded and can be found here. 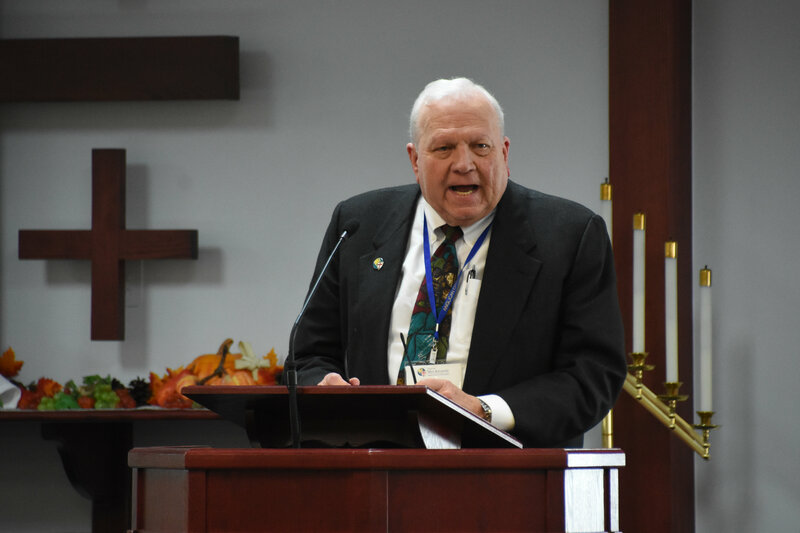 After lunch, Treasurer Gary French presented, and the Synod adopted, the Diocesan budget for 2019. The Rev. 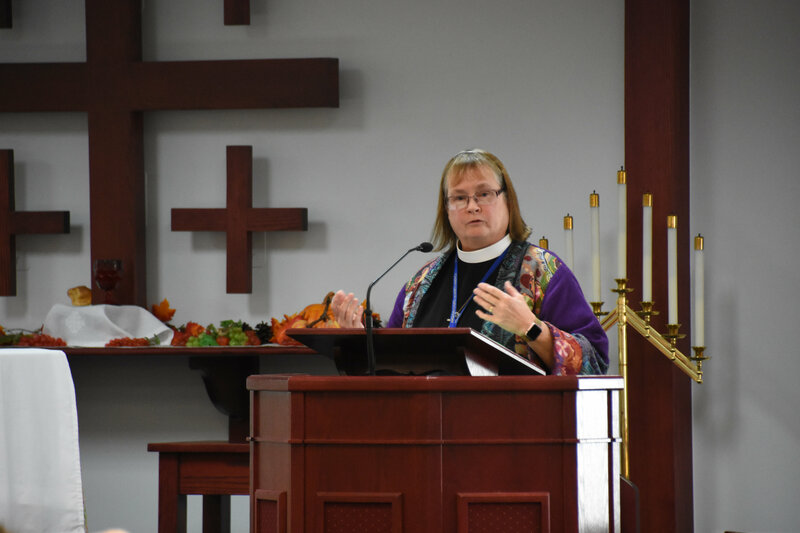 Becki Neumann presented a report from the Constitution and Canons Committee, after which the Synod approved several amendments to the Canons and gave final approval to an amendment to the Constitution. 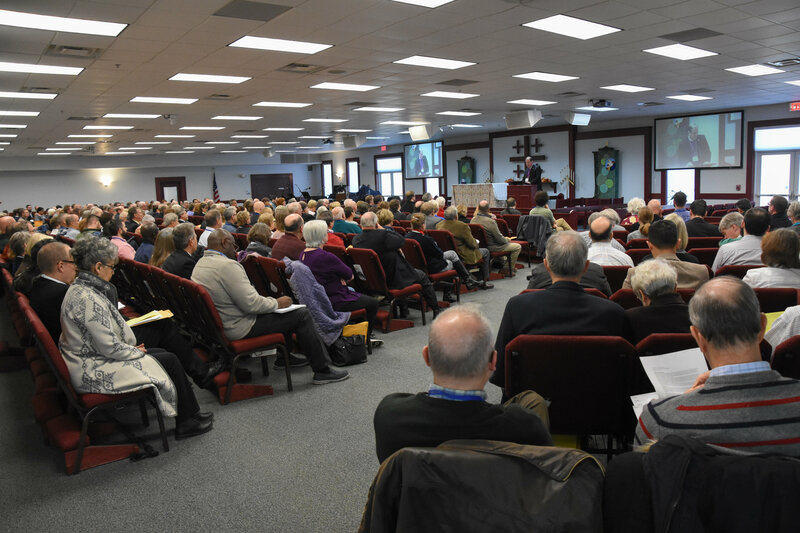 Clergy, delegates, and guests then attended a wide variety of workshops which were recorded and are available on the diocesan website (see "Synod 2018 speakers and workshops now online" in this issue of The Mid-Atlantic Messenger for more information). After a final hymn and prayer, the Synod was adjourned. 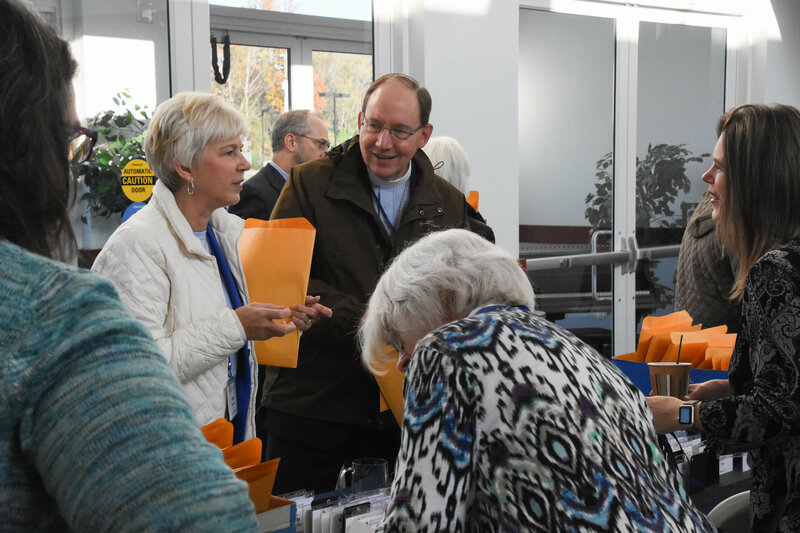 We are already looking forward to Synod 2019 and invite you to join us! 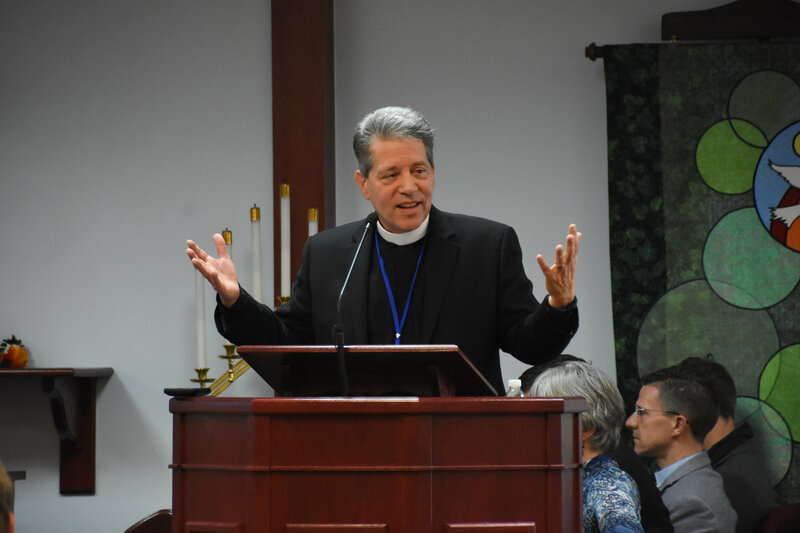 We will meet next year on November 15-16, 2019, at All Saints' Church, Woodbridge, VA. We hope to see you there! Lynn Milograno is the Administrator of the Diocese of the Mid-Atlantic. Photos by Ed Glancy.